When you are lucky enough to have a housewith a patio, the patio becomes one of your favorite places to relax. It is agreat place to have drinks and converse with your friends, or just slouch on arocking chair and unwind. You need to decorate your patio and make it lookgreat, just as you would decorate any other space in your home. There are a couple of items you need to make your patio the perfect relaxation spot. 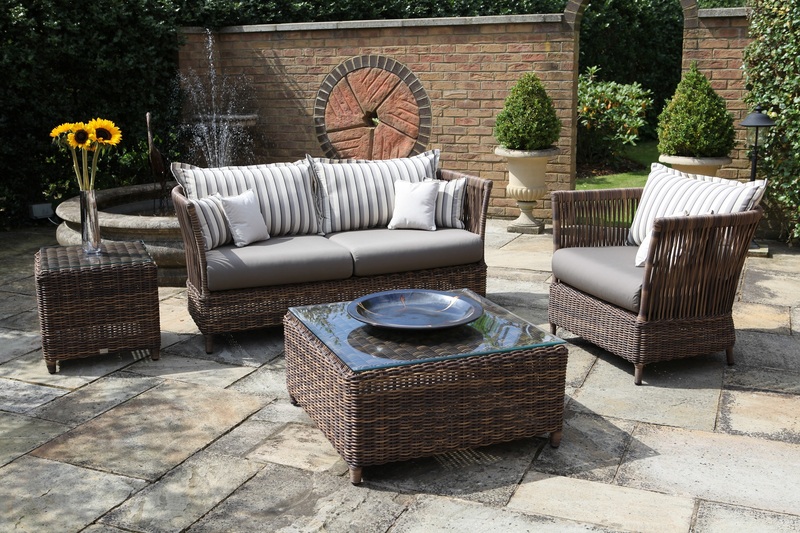 Below are three types of furniture you can choose to have on your patio. You could have a nice set of lounge couches and a coffee table at the patio. The patio is a great place to sit with your friends or family and have a great conversation for the whole afternoon. Some simple chairs with soft cushions will do the trick as well. You need to ensure that the furniture you get can withstand outdoor conditions. Chairs made of a tough fabric such as leather are suitable. Comfy chairs will allow you to sit on the patio for long hours and enjoy a cool breeze. You can also decide to have some meals on the patio. Dining furniture also augurs well with the patio. Having a meal outdoors is always exciting. Sometimes all you need is some fresh air to be able to devour a hefty meal. Wayfair has many options for dining tables and chairs that you can use on your patio. All the chairs and tables can withstand tough outdoor conditions. Strong wood tables and chairs always blend into the patio quite well. Sipping some beer, whiskey, or wine while outdoors is always a great experience. If you love your drinks, some bar furniture would be great for your patio. You can spend the afternoon with your friends on the bar sipping some drinks. Tall bar table and stool are great for the patio. You can add a drinks cabinet as well if there is enough space. You will have a complete bar on your patio, just like you would have it anywhere else. It is always a good idea to have some patio furniture covers. You need to cover up your furniture when the weather is not very favorable. That will ensure the furniture lasts long. For instance, rain can easily destroy wooden furniture. Wayfair has furniture covers for all the different kinds of furniture. You are probably eagerly waiting for the arrival of your little bundle of joy. You just can wait, and you need to get his room ready as soon as possible. If you’ve never had to prepare a baby’s room before, you will most likely not know where to start. There are many little things you will need for your little one’s room. You want the room to be a source of peace and joy for your baby and yourself as well. Below are a few pointers on the essentials of a baby’s room. Your toddler needs a special bed, specially designed just to cater to their needs. There are many exciting designs for toddler beds available on Wayfair. One of the most essential aspects of a toddler bed is to ensure it is safe. It should be strong, and have enough grids on the sides, to ensure your baby cannot fall over. Always go for a brightly colored bed. Babies have a thing for brightly colored stuff. It is even better is the bed has some drawings or patterns. Flowers and butterflies always do the trick. You can decide to go for painted walls or wallpaper. Either way, colorful walls with interesting patterns and images are therapeutic to the baby. Make sure the walls have a couple of different images. Babies are always quite curious and will always be looking out to discover new stuff. Such images are likely to keep them intrigued. Wayfair has a wide range of colorful wallpapers that you can put up in your baby’s room. You can also get some shapes, toys, and dolls and hang them up on the walls. You need to be able to closely monitor your baby while they are in their room alone. A camera will allow you to watch over your baby without necessarily going to the room, especially when they are sleeping. You do not want to interrupt your babies sleep when they have not had enough. The bells are a great way to keep the baby entertained while they are awake. The baby will most likely start crying when they wake up and notice they are alone, but the bells are a great way of keeping them distracted. You also need to have a microphone close to the baby’s bed, so that you know when they are crying. 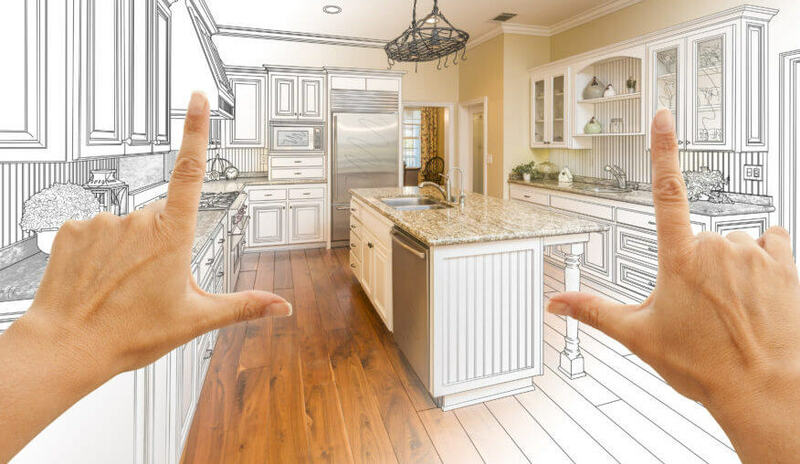 A home renovation might be all you need tomake your home feel exciting again. Some old decorations colors and furnituremight make your home not appealing to your any more. You do not have tooverhaul everything in order to have a renovated home. Home renovation canactually be quite expensive. There are a few touch-ups that you can do, and you will have a whole new exciting home. Many people tend to repaint their walls. A re-paint always does the trick. There is much more you can change in the house though. Below are 3 simple things you can change in your house, and end up with a house that feels new and renovated. Your lighting pieces count for a lot in the way your spaces appear. You can opt to change your chandeliers and have others that are more exciting and appealing. You could go for gold lighting if you had white lighting earlier, and vice versa, and get a whole new feel. You can include differently colored lights in the new lights collection as well. Wayfair stocks a wide variety of lighting pieces and chandeliers. You can explore and find something that is appealing to you. Get something that will make your spaces look new and out of the ordinary. If you are able to change the look on your floors or walls, your house will look completely different. You can choose to change the decorations on your walls. Put up wallpaper and you’ll get you home looking completely different. Changing your floor tiles will give your house a completely new feel and aura as well. You can choose to throw in some new rugs on the floor if you cannot afford to change the tiles. It is even better if you can afford to do both. Electronic appliances can make your house more exciting and looking great again. You can choose to get rid of your old TV set or stereo system and get another one that looks better. Some new fans in the house could do the trick as well. Kitchen appliances can bring a new feel to your kitchen as well. A new refrigerator, microwave, dishwasher, or oven can spice up your kitchen and make it look great. Wayfair has all the electronic appliances you would need in your home. One or two appliances will make your home feel a little bit different. Everybody has a specific way in which they envision their perfect kitchen. Some are into ovens and cookware, while others are obsessed with tableware and cutlery. Regardless of what appeals to you most, there are a couple of aspects that make up a complete kitchen. 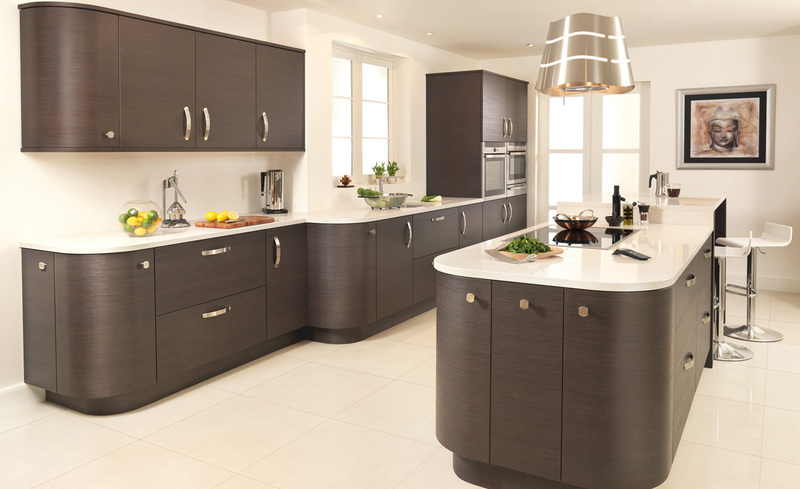 You may not be much of a cooking enthusiast, but a great looking and well-equipped kitchen is always essential. The kitchen is a crucial part of your home, and having it looking elegant is always a good idea. An elegant looking kitchen is a statement of class. Below are some aspects of a great kitchen. A spacious kitchen is always a great thing, but you need to be able to fill it up appropriately. You do not want a kitchen that looks empty. Having said that, a small kitchen can be made to look elegant as well. You just got to manage your space well. Avoid cramming it up with too much stuff, if the kitchen is small. There should be a good balance between the stuff in the kitchen and space to maneuver around. If space is available, a center table with some few high stools around always does the trick. The Kitchen is supposed to be a space where you can cook some meals. You need to ensure you have all the essential items need to cook a complete meal. You have to make sure you have the cookware, cutlery, tableware, ovens and burners. You will need all these if you are to cook a complete meal. In as much as the aesthetics of the kitchen are important, the main essence of having a kitchen is to produce meals. You will need space to store various cooking items. A great looking fridge will not only keep your foodstuff fresh, but it will also make your kitchen look elegant. Cabinets are a great way of spicing up your kitchen as well. Check out the various designs of kitchen cabinets available of Wayfair. You will certainly find something classy for your kitchen. Wayfair has everything you need to make your kitchen complete and interesting. It is a one-stop shop for any cooking enthusiast. As already mentioned, you need to have your kitchen looking the part, even if you are not so much into cooking. You should ensure your kitchen is always ready to produce a great meal. Wayfair is a fast-growing furniture and home décor online retailer, operating in the United States and some parts of the UK. It is in the A-list of online furniture retailers in the world and its growth over the years has been remarkable. Even though Wayfair has now grown into a major furniture retailer, offering all sorts of products, it started by only selling storage units and other basic storage furniture, in 2002. The company’s founders settled on this business idea after doing an extensive search, which entailed analyzing online search patterns. In 2003, the company started showing some progress, and the two co-founders started selling garden furniture. Since then, the company has had a steady growth rate, introducing more commodities each year. The expansion of the company has been immense, leading it into offering over 8 million products. Their suppliers have also increased to around 12,000. Among the various categories of goods the company is currently offering are living room furniture, kitchen furniture, lighting fixtures among others. It also sells beds, bedding and area rugs. Above are just some of the many categories of goods offered by the company. Products offered by Wayfair have, over the years, proven to be of a kind. The first proof of this is the continued growth of the company’s customer base, and secondly, the minimal number of complaints and returned goods. Besides the high quality of the products, the company’s prices have always been fair; another reason for the large market share. This, however, is not to say that all the goods offered at Wayfair are at low price rate, because then, we would start questioning their credibility. The company has different goods at different prices. In the website, is a section that enables the customer to search goods by prices, and this ensures that they find items within their budget, and still of good quality. Briefly, on how it came to be, Wayfair was founded by two entrepreneurs, Niraj Shah, and Steve Conine, who met at Cornell University in an entrepreneurship class. They were both businessmen. They did not have any business premises where they could store their products, so they used a nursery in Conine’s home as the storage. Being an online-operational company, Wayfair had to face various challenges during its onset. The confidence and internet awareness displayed by customers and suppliers presently, was in the rare in 2002 . In as much as some businesses had started operating online, the practice was rare and most customers preferred shopping physically from stores. It was a gamble the two founders decided to indulge and it surely paid off. Initially, the company had various stand-alone websites that had specific categories of products. For eight years, the company created and operated over 270 separate websites. Their reason for doing this was that, having various websites with varied categories of goods would have users stumbling in one website or the other, thereby acquiring a wide share of customers. This was effective because, by 2010 the company had secured over 4.5 million customers, with the sales of approximately $380 million. However, the approach had a negative side. Customers were not aware that the various websites they were shopping from were under the same brand, and this did not do good to the customer base of the company. This prompted the two founders to come up with a solution, and that’s when they decided to roll their 270 websites into one. Looking at the geographical aspect, when Wayfair started, it only traded within the United States. However, in 2008, the company went international and started operating in various parts of Europe, with its base of operation in Belfast. They established an office in London, then Germany and have ever since expanded into various parts of the UK. Going international after only six years was a significant proof of the steady growth the company. Wayfair operates entirely online. Most furniture retailers prefer the idea of having stores where their customers can see what they want to buy. Wayfair, however, prefers doing this online. It has a website where customers can access brief descriptions and images of the commodities offered, their prices and specifications. The company has also introduced an online interior design service. This is a new feature and its principal objective is to help customers achieve the design they desire for their homes. 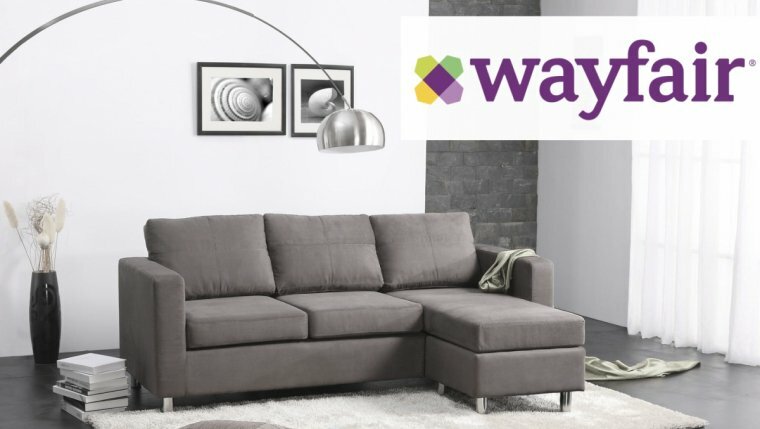 This service, like other operations in Wayfair, is also done online. The customer is able to make a virtual appointment with one of the interior designers of the company, and seek advice. The designer does not make a choice for the customer, rather, he/she listens to the customer’s ideas, including desired color themes, then he/she offers necessary advice. Additionally, the designer can give an idea or two, which the customer may have not thought of. The company expects that this service will save customers the trouble of having to try out numerous designs in futile. It also hopes that it will help maintain and improve its customer base. Another significant aspect of growth of Wayfair is the steadily increasing number of employees. Even though the company does not have stores, its number of employees is more than most companies which have stores. Among its over 10,000 employees, is the virtual workforce, that works remotely, doing tasks like live chats with customers, responding to emails among others. Other employees work in the headquarters and the warehouses which are located all over United States. The major competitor of Wayfair is Amazon. In as much as Amazon ranks first in actual sales, followed by QVC, Wayfair still tops in the list of companies that have shown the highest rate of growth. This is because, despite Amazon being founded almost a decade before Wayfair, their number of customers and their sales are not far much apart. Wayfair was originally called CSN stores, and it was rebranded into Wayfair in 2011. The company’s headquarters is in Boston, specifically at Copley Place. 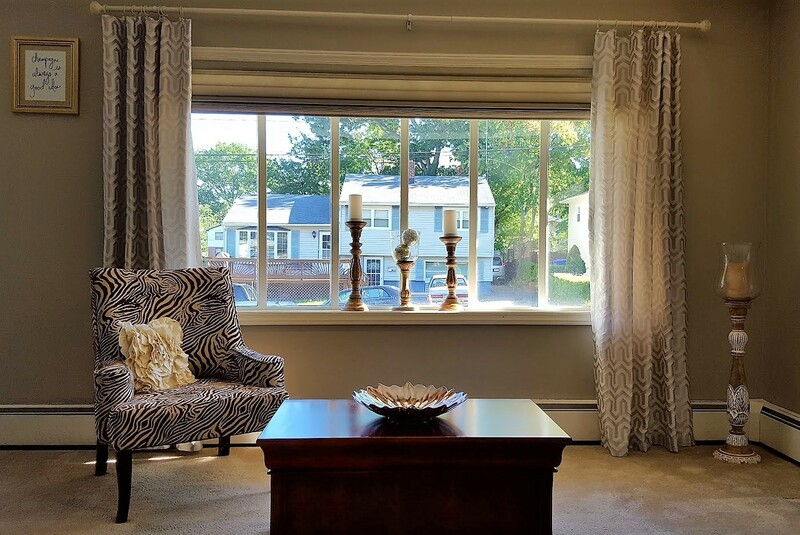 Judging from the steady growth and customer satisfaction recorded by the company over the years, its without doubt that Wayfair is the place to go in order to give your home the perfect touch. Have you always wanted to give a personal touch to something, perhaps your curtains, but you can’t because you lack the right equipment? Well, this should no longer be a worry since Sewing Machines Plus offers a wide range of sewing equipment and any other requirement you may need in order to give your home the personal touch you desire. Sewing Machines Plus is an online nationwide retailer company that provides all the requirements when it comes to sewing. It is a family-owned company with its Headquarters in San Marcos, California, and it was started in 2000 by Ron Martin. The goods offered by the Sewing Machines Plus are of high quality and at affordable prices. The company’s employees, especially those in the sales team are committed to meeting customer needs and satisfaction, and this is among the various success factors in the company. Their readily available customer care service has won them many loyal customers. About shipping and delivery of goods, the company has not yet gone multinational, and therefore, they only work within the United States and Canada. Most of the orders done by customers are usually shipped on the same day and delivered within 3-7 days. Orders to Canada are charged a small fee, and the customer is also expected to pay a few taxes. However, goods above $49 ordered within the United States are shipped for free. When you purchase a product with SMP, you receive a free manual/guide of how to use it. We must agree that this cannot give you complete training on sewing, but at least it can help you with the basics in case you are a newbie. The growth of SMP has been quite stable, and it is not a surprise that they have stretched across the country and expanded their market share in sewing equipment and accessories. Sewing Machines Plus also offer sewing classes, and learners are taught essential aspects of sewing. Among the areas on which they offer lessons are: Bargello quilt, designing tablecloths, making bags among others. Sewing Machines Plus is the place to order your sewing equipment and to get started with the basics as well. Nothing is more satisfying than making something using your hands and living to see it last and serve you efficiently. That is why Rockler Woodworking and Hardware is offering the chance to help you acquire the right tools and the adequate know-how on whichever furniture, cabinet or heirloom you want to make. Over the years, Rockler Woodworking and Hardware has developed and established stores in over thirty locations in more than 20 states. It also has over 60 independent partner stores from which it distributes some of its products. When it started, the company just sold the basic woodworking equipment. However, currently, Rockler sells close to every single equipment required in woodworking or anything related. The company is widely known for its high-quality wood, hardware, and tools. Additionally, it provides the know-how, as it offers classes on woodwork, which seems to be earning it more customers and increasing their popularity. Another explanation for the consistency of customers to the Rockler Woodworking and Hardware is their choice in the type of goods to sell. 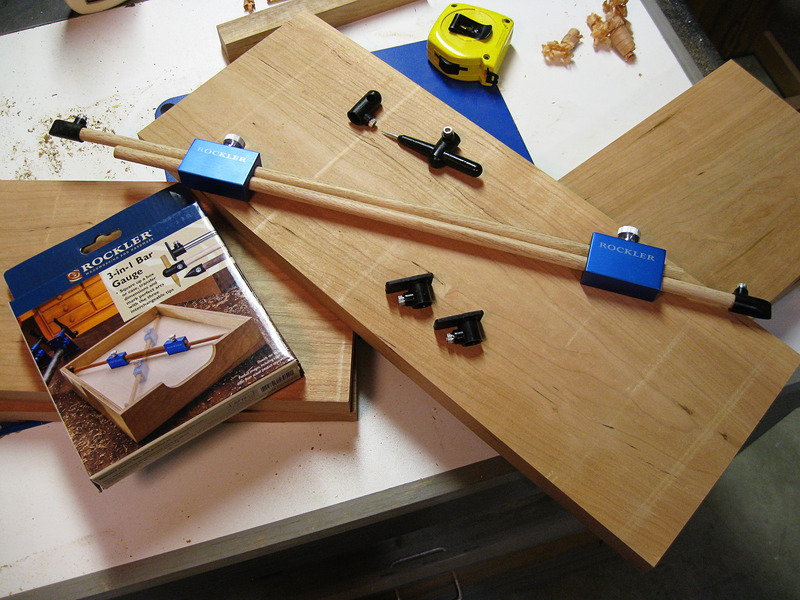 Rockler is known for the rare furniture hardware they sell; the kind that can hardly be found in other hardware shops. Over time, the company has been working on expanding its operations all over the country, and it has been opening more stores in different locations and states. You may think this is unwise and quite non-tactical since e-commerce has taken over the world. That may be true because, with just a click of a button, you can have your product delivered to your doorstep. However, Rockler management team looks at it from a slightly different angle. According to them, a better way of giving their customers the convenience they need is by providing them with a variety of options. They leave the power of choice on whether to shop online or at the store, entirely to the customer. And if the customer goes for the latter, then the store should not be so far away. It does not, however, mean that the only way to get a product from Rockler is by physically visiting the stores. The company also allows online shopping via catalog. Among woodworkers, both professionals and newbies, Rockler is the ideal place to get woodwork tools and materials. Are you looking for a good night sleep with no worry of waking up on an aching back? Nectar Sleep should be your number one choice. Besides the various incredible manufacturing features of the mattress, the company offers irresistible after sale services that go on long after you’ve purchased the high-quality mattress at a surprisingly affordable price. Nectar Sleep company is by far the fastest growing mattress manufacturing company in the United States, and it is based in San Francisco, California. Recently this year, the company expanded and opened a place in the UK, and it plans to have a piece of the 2.3 billion Euros which is the current mattress worth of the UK. Being an online-oriented company, b is also aiming at not only having a share but the biggest share of the 23 percent predicted-increase in online mattress market worth of the UK in 2021. 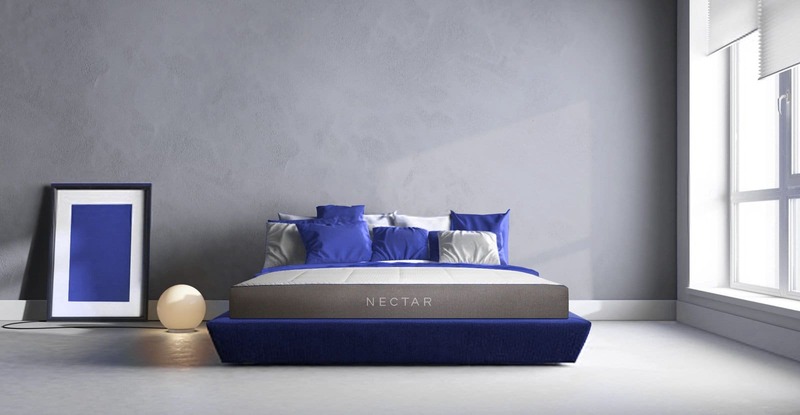 Nectar Sleep company has been producing high-quality mattresses since 2016 when it was started. Ever since, the company has been growing steadily, approximately by 20 percent each month, except for a few obstacles that every business expects to stumble upon. It has shown great rivalry to the widely known mattress companies like Casper. The high-quality standard of the mattress has attributed most to the steady growth of the company. First of all, the mattress is made with five layers. The company has managed to keep the mattress not too hard or too soft, giving the users the perfect feel when sleeping. The use of the gel memory foam provides the mattress with an excellent feel, different from most memory models. Additionally, the mattresses are offered at relatively lower prices as compared to other models of the same quality. This has been another of its boosters and an explanation for its steady growth and consumer demand. To add onto the bonuses, Nectar Sleep Company offer irresistible after sale services. The mattress has 365 nights of free trial, that is a one-year trial. Lastly, the company manufactures the mattress with a high-density support core platform, more durable than most mattresses. Approximately, the mattress can last for eight good years which is way more than most mattresses do. Conclusively, Nectar Sleep offers the best mattresses. With its cooling technology, fantastic durability and the outstanding comfort, the company has extremely widened its market share. Its incredible client satisfaction is also a selling point and soon it may be the most dominant mattress manufacturing company. Cricut is an industry-leading private company that focuses on designs and creative innovations. When it was started, the only thing the company sold was a cricut cutting machine. However, with time it has evolved and has taken to creating more advanced and professional equipment. The primary goal of Cricut has always been to allow users to get as creative as they desire to, by providing them with the right tools. Though still not a so-big-company, Cricut has managed to attract customers and maintain them with their ever-amazing products. They offer not only physical tools but also applications that aid the users in bringing into life their creativity. Their conducive work environment has also earned them loyal and dedicated employees who will stop at reasonably nothing to efficiently meet their customers, needs. Over time, the company has managed to make a wide range of cricut models. The original one was, of course, less advanced but unique. It had a six by 12 cutting and could cut images up to 5 ½” tall. After this, there have been subsequent and more advanced models like Cricut Expression, Cricut Expression 2, Cricut Mini, Cricut Explore Air, Cricut Explore Air 2, and Cricut Maker. The latest model, Cricut Maker, which was released on 20th August 2017, is designed to cut thicker materials like Basswood. The advanced easy-to-use software, Cricut Craft Room Software, has excellent features, one of which is its ability to mix images from different cartridges, hence providing high standard-output. Besides the impressive software and high-quality cutting tools, Cricut has other projects going on, like sewing and quilting, Custom t-shirts designing, among others. Cricut has not grown geographically as much as other companies in the same industry. However, this has not stopped its reputation for high-quality products, from being spread all over the country. Some of the major and most potential competitors of Cricut is Silhouette America. With the festive season approaching, you definitely must have started raking your head on which decorations you will put up and how. This should not be a problem since Cricut is a super accurate design cutter, made available for you at an affordable price. Additionally, you can get the software to enable you to create fantastic designs. Cricut was founded in 1962 and has been up running till present day. It has its headquarters at South Jordan, UT and has approximately up to 500 employees. It is among the leading companies in the industry of General Merchandise and Superstores, and it amasses an estimated annual revenue of $ 100 to $ 500 million. 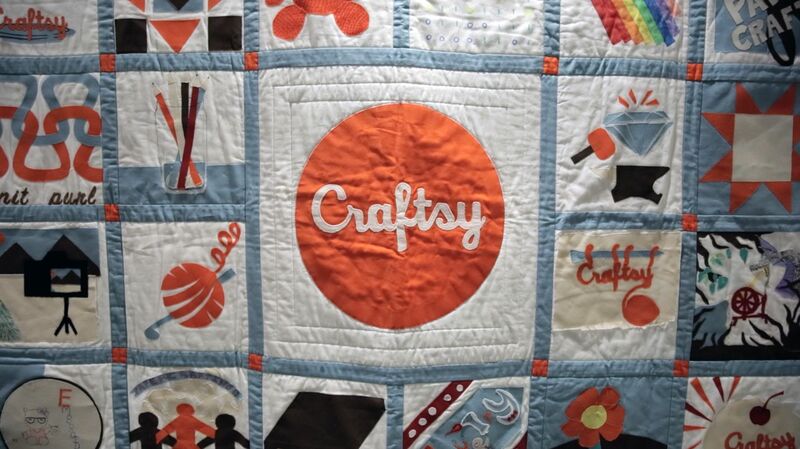 Craftsy is an online education platform that was founded by four men in 2010. They noticed a gap and the inadequacy of information for people who were into handiwork like knitting, quilting, sewing, baking, photography among others. It is quite ironic since all the four founders are men yet the platform mostly serves women. John Levisay, Josh Scott, Todd Tobin, and Bret Hanna, who are the CEO, former COO, Chief Technology Officer and VP of Engineering respectively, were the founders of Craftsy, and all of them used to work at now HomeAdvisor, which was then called ServiceMagic. The primary activity of Craftsy is to provide` a user-friendly online platform, where users can subscribe to get access to online classes, educative video courses, and other related information. They operate across various areas; Knitting, sewing, quilting, photography, art, cooking and so on. Additionally, the platform serves as a social network for users, and through it, they can interact as they share ideas and insights. The mission of Craftsy is to make available, the best teachers around the world, to enthusiasts of such handiwork. The platform has made it possible for all students at various levels to access lessons from across the globe, within their own schedule. The fact that students and instructors can interact makes the platform even more useful and practical. Besides educating, Craftsy is now selling kits, which seems to be loved by customers as much as the lessons, since at least 2000 kits are sold per day. Craftsy wants to ensure that as they offer the lessons, they also make available the required tools to aid application of what has been learnt. Even though the company has reported that their most attended classes are those for quilting, it seems cake decorating lessons are taking the lead in growth. 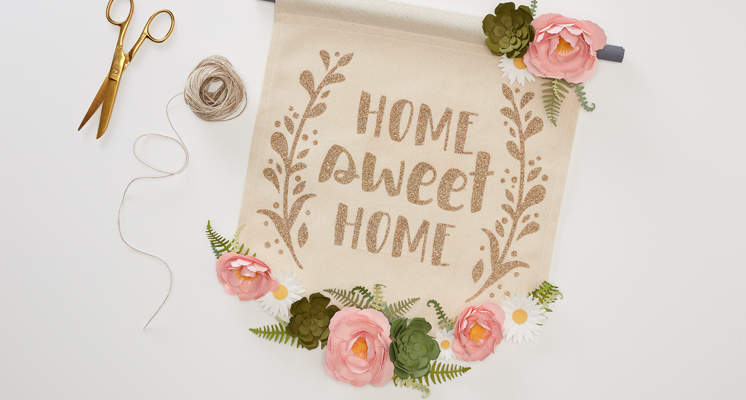 Unlike other companies, Craftsy was instant at getting established in the market and claiming its share. In 2012, not long before it was founded, it was reported that an average of 1600 people signed up to the platform per day. Craftsy has been growing over time, and it has over 500 employees, with its headquarters at Denver, Colorado. The company has been a subsidiary of NBCUniversal since May 2017, and it receives its funding from Stripes Group, Foundry Group among others. Companies like Creativebug and Lynda are among its most potential competitors. Craftsy has been, however, rebranded to Blueprint. The changes are not very significant, just the look and the name and a few basic aspects. Otherwise, the company has maintained its management and still carries out its primary activities.